Fruit are commonly divided into two categories, tree fruit and small fruit. Some examples of small fruits are strawberries and blueberries, while tree fruit are typically apples, peaches, and pears. 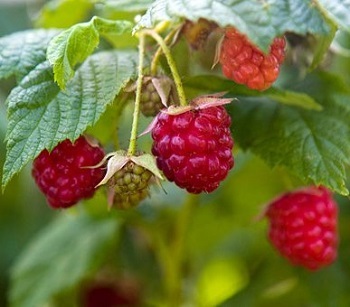 There are a few good reasons to grow your own fruit in your home garden or as part of your edible landscape. You can harvest the fruit at their peak and you can grow the ones you enjoy the most. There is no better tasting fruit than one grown fresh and harvested to your liking. 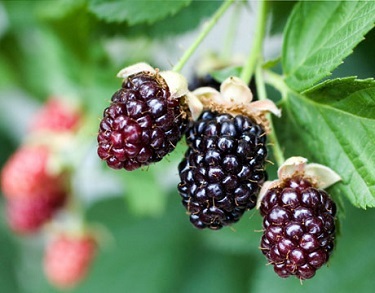 Another benefit is having the ability of growing a variety of different fruits that can produce a crop from spring to fall, starting with strawberries in the spring and ending with apples in the fall. When growing fruits, most plants need their flowers pollinated. There are two types of pollination, self-pollination and cross-pollination. Self-pollination is when the flowers on a plant are dusted with their own pollen, and cross-pollination is when a plants flower needs to be pollinated by another cultivar. Apples, like McIntosh for example, need to be planted nearby to supply the pollen needed to produce fruit. Tree fruits, like apples and peaches for example, can be a challenge to grow in the home garden because they are susceptible to pests that need to be controlled. With a little care you can control these problems with organic methods that won't need the use of a toxic chemical that can harm you and the environment.